myEcon, Inc (“myEcon, Inc,” “we,” “us,” “our”) provides the myCredit Kit (hereafter referred as “Service” or “Services”) to you, the user or subscriber (“you”, “your,” “yours”), subject to these Terms of Service, which may be modified from time to time in our sole discretion, with or without notice to you. By entering your initials and enrolling and/or accessing the Services, you indicate that you understand and agree to these Terms of Service. Your use of the Services, now or in the future, also indicates acceptance of the then-current Terms of Service. These Terms of Service incorporate by reference applicable program, subscription, activation, ordering, and pricing terms provided to you online or offline for the Services selected by you, and documentation and posted guidelines for the myEcon, Inc services you select, all of which comprise a binding legal agreement and govern your use of this website and the online services to which you are granted access hereunder. You agree to abide by all of the Terms of Service, as the same may be revised from time to time. myEcon, Inc may offer their services from time to time that may be governed by additional or different terms. The “Services” mean and include (i) access to this website, and (ii) the myEcon, Inc services you select through this website, including but not limited to programs, components, internet-based services, content, technology, tools, and help content, as any of the foregoing may be modified, revised, updated, enhanced, or supplemented by myEcon, Inc from time to time. The Services are provided to you on a subscription basis. myEcon, Inc may decline to grant you a subscription for any reason, and no binding agreement between the parties exists until we receive and process complete and accurate information from you as requested in the registration process and we receive applicable subscription fees. You may cancel your subscription at any time. You elect to enroll in the Services. You understand this is a website based program that has a one time subscription fee. You understand your payment method will be immediately charged for the service amount selected. You understand you may cancel your subscription plan at any time by going to the My Account section of the website and selecting the Cancel link. 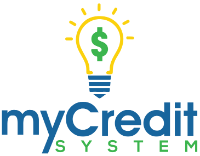 Your access to the Services will begin after myEcon, Inc receives and processes all of the information, including credit card or bank account information, requested in the registration process. You must have a valid credit card or a valid debit card acceptable to myEcon, Inc to obtain access to the Services. The payment information you provide must be accurate, current, and complete, and you agree to promptly update any changes to this information in the My Account area of your Services website or notify us of any changes. You understand the one time subscription fee is nonrefundable after the 3 Day Right of Rescission period. Should you require a refund beyond these guidelines, you should contact myEcon, Inc. via email at: support@myecon.net for resolution. Subject to these Terms of Service and your timely payment of any applicable fees, myEcon, Inc grants you a personal, limited, nonexclusive, nontransferable license, so long as your subscription to the Services remains in force, to access and use the Services on a single computer at a time. You agree to refrain from (i) accessing or attempting to access any underlying software except for use of the Services as contemplated by these Terms of Service; (ii) accessing the Services by any means other than through the interface that is provided by myEcon, Inc; (iii) licensing, sub-licensing, copying, reselling, or commercially exploiting the Services or underlying software to any third party; (iv) modifying or creating derivative works based on the Services or any part thereof; (v) decompiling, disassembling, or reverse engineering the Services or any underlying software. Your subscription is not transferable. myEcon, Inc reserves all rights not expressly granted to you in these Terms of Service. The Services are protected by copyright, trade secret, and other intellectual property laws. myEcon, Inc and its licensors retain ownership of the Services and all underlying software and all intellectual property rights therein. myEcon, Inc does not grant you a license or other authorization to any of its trademarks or service marks. As a condition of using the Services, you agree to: (i) provide accurate, current, and complete information about yourself as prompted by the Services’ registration form, and (b) maintain and promptly update the registration data to keep it accurate, current, and complete. You will receive a password and account designation upon completing the Services’ registration process. You are responsible for maintaining the confidentiality of the password and account, and are fully responsible for all activities that occur under your password or account whether within myEcon, Inc or within any other password-protected service. You agree to ensure that you exit from your account at the end of each session and to immediately notify myEcon, Inc of any unauthorized use of your password or account. MYECON, INC CANNOT AND WILL NOT BE LIABLE FOR ANY LOSS OR DAMAGE TO YOU OR ANY OTHER PARTY ARISING FROM OR RELATED TO YOUR FAILURE TO COMPLY WITH THIS PARAGRAPH. In order to use the Services, you must obtain Internet access and pay any service fees associated with such access. You must also provide any equipment necessary to make the connection to the Internet. You are responsible for all content uploaded to the Services. You acknowledge and agree that myEcon, Inc may record, store and/or disclose any and all materials that are received, downloaded, uploaded, posted, or transmitted by you while using the Services, including any necessary and applicable user references, for the following purposes: (a) compliance with applicable laws; (b) compliance with legal process; (c) enforcement of these Terms of Service; (d) response to claims (including potential claims) that any such materials or the transmission thereof violates the rights of third parties; or (e) protection of the rights, property, or personal safety of myEcon, Inc, its users, and the public. You hereby grant myEcon, Inc permission to use information about your business and usage experience to enable myEcon, Inc to provide services to you, including updating and maintaining your data, addressing errors or service interruptions, and to enhance the types of data and services myEcon, Inc may provide to you in the future. You also grant myEcon, Inc permission to combine your business data, if any, with that of others in a way that does not identify you or any individual personality to improve services. We may use your data to create, market, or promote new myEcon, Inc offerings to you and others. myEcon, Inc may wish to send you (or may be required by law to send you) notices, records, agreements, or other types of information (“Communications”) in connection with the Services. You agree that myEcon, Inc may send Communications to you by email and/or may make Communications available to you by posting them on the website. You consent to receive all Communications electronically to the email address specified in your then-current registration data. If you decide that you do not want to receive future Communications electronically, you may contact us at support@myecon.net. However, if you withdraw your consent to receive Communications electronically, we may terminate your use of the Services. Your rights under these Terms of Service may be suspended or terminated by myEcon, Inc immediately and without notice if you (including any user accessing the Services with your authorization or using your password(s)) fail to comply with any of these Terms of Service or myEcon, Inc has reason to suspect that you are not in compliance with any of these Terms of Service, in which case myEcon, Inc shall have no liability or responsibility to you arising out of such termination, including but not limited to any refund of subscription fees. myEcon, Inc may terminate your subscription to the Services for any other reason upon (thirty) 30 days’ prior notice to you, in which case myEcon, Inc will refund to you a pro rata portion of any subscription fees paid by you representing the portion of your monthly, quarterly or annual subscription, as applicable, that you will not receive. myEcon, Inc is not responsible for interruptions in the Services due to causes beyond its reasonable control, including, by way of example, telecommunications failures, internet and electronic communications failures, labor interruptions, and loss, corruption, security, or theft of data. You agree to indemnify and hold myEcon, Inc, and its subsidiaries, affiliates, officers, agents, and employees, harmless from any claim or demand, including reasonable attorneys’ fees, made by any third party due to or arising out of (a) materials that you submit, post, or transmit through the Services, (b) your use of the Services, (c) your connection to the Services, (d) any violation of these Terms of Service, or (d) your violation of any rights of another. YOU EXPRESSLY UNDERSTAND AND AGREE THAT YOUR USE OF THE SERVICE IS AT YOUR SOLE RISK. THE SERVICE IS PROVIDED ON AN “AS IS” AND “AS AVAILABLE” BASIS. MYECON, INC EXPRESSLY DISCLAIMS ALL WARRANTIES OF ANY KIND, WHETHER EXPRESS OR IMPLIED, INCLUDING, BUT NOT LIMITED TO THE IMPLIED WARRANTIES OF MERCHANTABILITY OR FITNESS FOR A PARTICULAR PURPOSE. MYECON,INC MAKES NO WARRANTY THAT (i) THE SERVICE WILL MEET YOUR REQUIREMENTS, (ii) THE SERVICE WILL BE UNINTERRUPTED, TIMELY, SECURE, OR ERROR-FREE, (iii) THE RESULTS THAT MAY BE OBTAINED FROM THE USE OF THE SERVICE WILL BE ACCURATE OR RELIABLE, (iv) THE QUALITY OF ANY PRODUCTS, SERVICES, INFORMATION, OR OTHER MATERIAL PURCHASED OR OBTAINED BY YOU THROUGH THE SERVICE WILL MEET YOUR EXPECTATIONS, OR (V) ANY ERRORS IN THE UNDERLYING SOFTWARE WILL BE CORRECTED. MYECON,INC IS NOT ENGAGED IN RENDERING LEGAL, FINANCIAL, ACCOUNTING, OR OTHER PROFESSIONAL SERVICES AND YOU ACKNOWLEDGE THAT YOU ARE NOT RELYING ON MYECON,INC FOR SUCH SERVICES. IF SUCH ASSISTANCE IS REQUIRED, THE SERVICE OF A COMPETENT PROFESSIONAL SHOULD BE SOUGHT. MYECON,INC EXPRESSLY DISCLAIMS ANY REPRESENTATION OR WARRANTY THAT YOUR USE OF THE SERVICES WILL SATISFY ANY STATUTORY OR REGULATORY OBLIGATIONS, OR WILL ASSIST WITH, GUARANTEE, OR OTHERWISE ENSURE COMPLIANCE WITH APPLICABLE LAWS OR REGULATIONS. YOU ARE SOLELY RESPONSIBLE FOR ENSURING THAT YOUR USE OF THE SERVICES IS IN COMPLIANCE WITH APPLICABLE LAW. NO ADVICE OR INFORMATION, WHETHER ORAL OR WRITTEN, OBTAINED BY YOU FROM MYECON,INC OR THROUGH OR FROM THE SERVICE SHALL CREATE ANY WARRANTY NOT EXPRESSLY STATED IN THESE TERMS OF SERVICE. IF EXCLUSIONS FOR IMPLIED WARRANTIES DO NOT APPLY TO YOU BECAUSE THEY ARE DISALLOWED BY LAW IN YOUR JURISDICTION, ANY IMPLIED WARRANTIES ARE LIMITED IN DURATION TO 60 DAYS FROM THE DATE OF YOUR FIRST USE OF THE SERVICES. STATEMENTS OR CONDUCT OF ANY THIRD PARTY. ANY MATERIAL DOWNLOADED OR OTHERWISE OBTAINED THROUGH THE USE OF THE SERVICE IS DONE AT YOUR OWN DISCRETION AND RISK. MYECON,INC SHALL HAVE NO RESPONSIBILITY OR LIABILITY ARISING OUT OF OR RELATED TO INFORMATION OR OTHER MATERIALS SO OBTAINED, THE USE OF ANY SUCH INFORMATION OR MATERIALS, OR ANY DAMAGE TO YOUR COMPUTER SYSTEM OR LOSS OF DATA THAT RESULTS FROM THE DOWNLOAD OF ANY SUCH MATERIAL. TO THE MAXIMUM EXTENT PERMITTED UNDER APPLICABLE LAW, THE ENTIRE CUMULATIVE LIABILITY OF MYECON,INC AND YOUR EXCLUSIVE REMEDY FOR ALL MATTERS OR CLAIMS ARISING FROM OR RELATED TO THE SERVICES SHALL BE LIMITED TO THE AMOUNT ACTUALLY PAID BY YOU TO MYECON,INC FOR THE SERVICES IN THE TWELVE (12) MONTHS IMMEDIATELY PRECEDING THE EVENT GIVING RISE TO THE CLAIM. These Terms of Service, together with any supplements, policies, guidelines, or rules promulgated by myEcon, Inc or provided to you by myEcon, Inc, constitute the entire agreement between you and myEcon, Inc and govern your use of the Services. They supersede any and all prior oral agreements or other communications between you and myEcon, Inc pertaining to any of the matters covered by these Terms of Service. They do not supersede non-conflicting supplements, policies, guidelines, or rules that are in effect as of the date hereof. These Terms of Service and the relationship between you and myEcon, Inc shall be governed by the laws of the State of Georgia without regard to its conflict of law provisions. You and myEcon, Inc agree to submit to the personal and exclusive jurisdiction of the courts located within Atlanta, Fulton County, Georgia. The failure of myEcon, Inc to exercise or enforce any right or provision of these Terms of Service shall not constitute a waiver of such right or provision. You agree that regardless of any statute or law to the contrary, any claim or cause of action arising out of or related in any way to the Service must be filed within one (1) year after such claim or cause of action arose or be forever barred. myEcon, Inc may change these Terms of Service from time to time, effective upon posting of modified Terms of Service on the website. myEcon, Inc may change, delete, discontinue, or impose conditions on any features or aspect of the Services, including but not limited to pricing, technical support options, and other product-related policies upon reasonable notice.